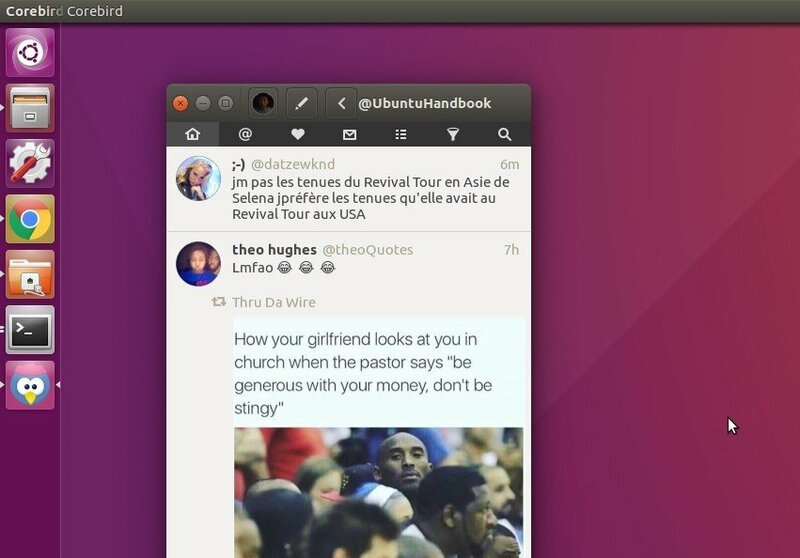 Corebird, a native GTK+ twitter client for the Linux desktop, reached the 1.7.4 release earlier today with some bug-fixes. Fix tweet sending on 32bit architectures. Fix a few spelling mistakes. 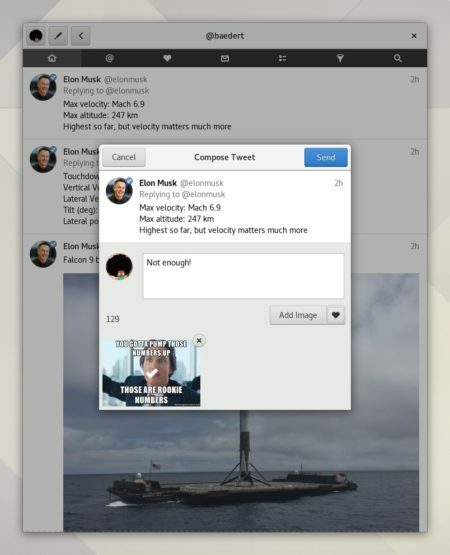 Work around a GTK+ bug increasing the window size when typing DMs. Prevent the list statuses page from automatically focusing the delete button, potentially resulting in accidentally deleted lists. Show a language selection context menu in the compose text view. For Ubuntu 18.04 and Ubuntu 17.10, Corebird 1.7.4 is available for install via the PPA repository. For Ubuntu 16.04, due to the outdated GTK+ library, choose to install the snap package. GTK+ 3 twitter application, Corebird, reached the 1.7.3 release a few hours ago with performance improvements and translation updates. For Ubuntu 17.04 and Ubuntu 17.10, you can install the new release from the PPA repository. For Ubuntu 16.04, due to the outdated GTK+ library, choose to install the snap package (The 1.7.3 snap will be available in a few days). Corebird, an open-source GTK+ 3 twitter client, reached 1.7 release a few hours ago with new features and some bug-fixes. Profiles handle protected accounts better when trying to access followers/following users, etc. Corebird 1.7.1 was released a few minutes later with a small fix to the appdata file in 1.7. For Ubuntu 16.04, due to the outdated GTK+ library, choose to install the snap package though the 1.7 release is not ready at the moment. For those prefer Snap to Flapak, the latest Corebird twitter client 1.6 was finally available as snap, while it can’t be built as traditional package in Ubuntu 16.04. Corebird, an open-source GTK+3 twitter client, has reached the 1.6 release a day ago. Here’s how to install it in all current Ubuntu releases. For Ubuntu 16.04, due to the old system GTK+ 3 library, the best way to install Corebird 1.6 is using the Snap app. The Snap app also works on all other current Ubuntu releases. Though it is Corebird 1.5.1 at the moment of writing, the snap will automatically upgrade to version 1.6 once it’s published into snappy store. For Ubuntu 17.10, the new release has been made into Ubuntu main repositories, simply open Ubuntu Software, search for and install Corebird package.